I’ve been working on transforming our office area over the past few months. We’ve built a desk, some sweet shelves among other things. I can’t wait to do a big “reveal” when it’s all done. I’ve been looking for two lamps to go on the desk, but really didn’t want to spend much money. 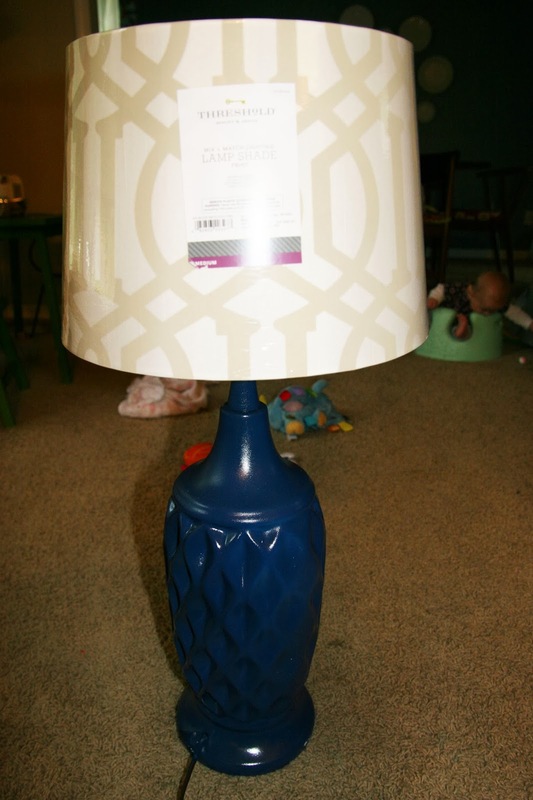 I’ve probably been looking for 6 months and finally came across some thrift store lamps that were a steal! 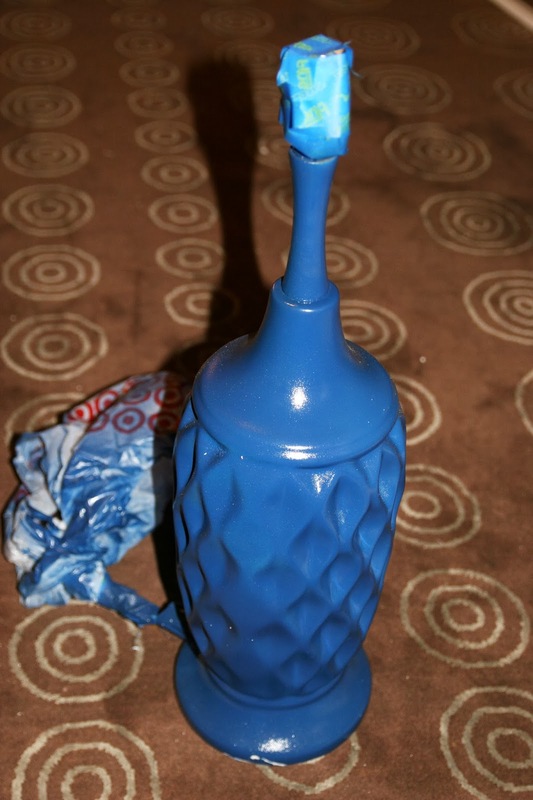 I transformed them with some spray paint and I’m in love with the results! This wooden one from Lamps Plus is $456! 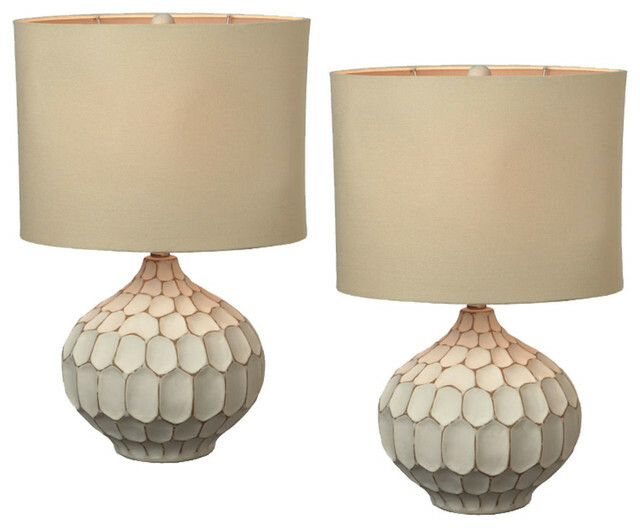 These classy white pair of table lamps are $179 for the pair…better, but still way too expensive. 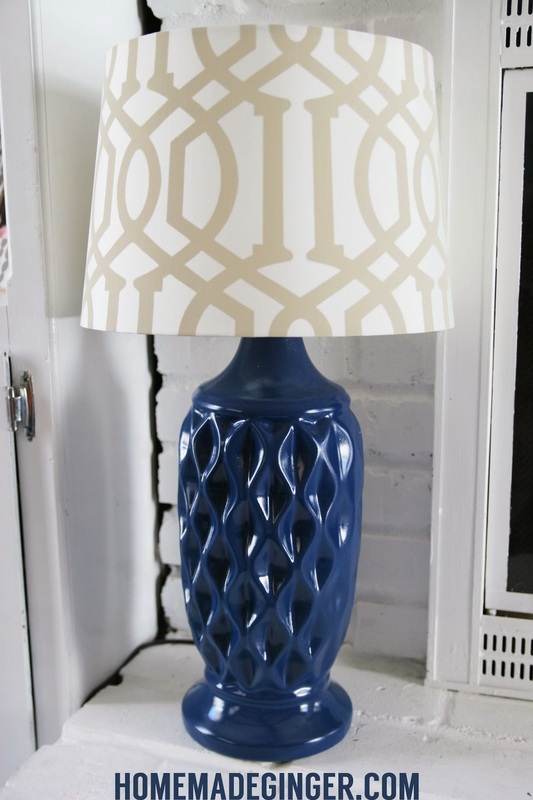 This honeycomb lamp from One King Lane is almost identical to mine, but it’s not sold any longer. 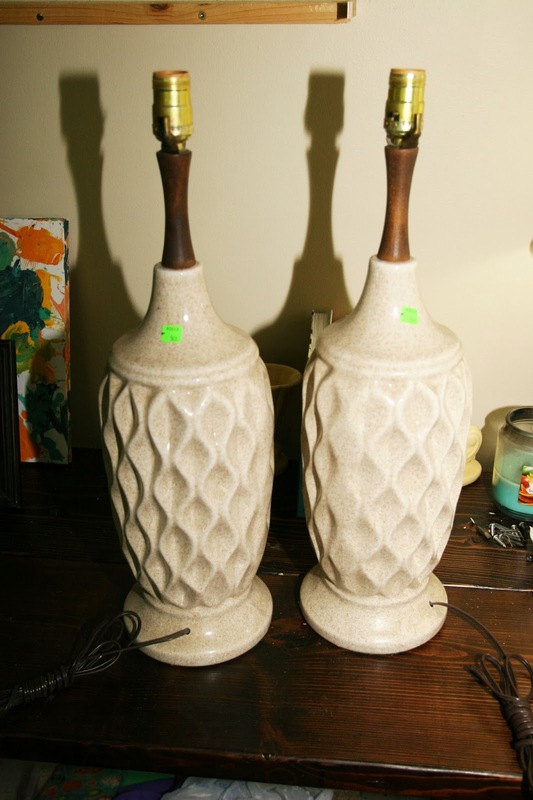 So, when I spotted these 2 lamps at my local thrift store for $9.99 each, I had to grab them! I knew I didn’t like the outdated speckled finish, but I figured a little spray paint would fix that problem. They are large and solid, so I knew that the price was right. The lamp was too tall for the shade. So we took off the top wooden rod and then the lamps were perfect. But, I’m a fan! 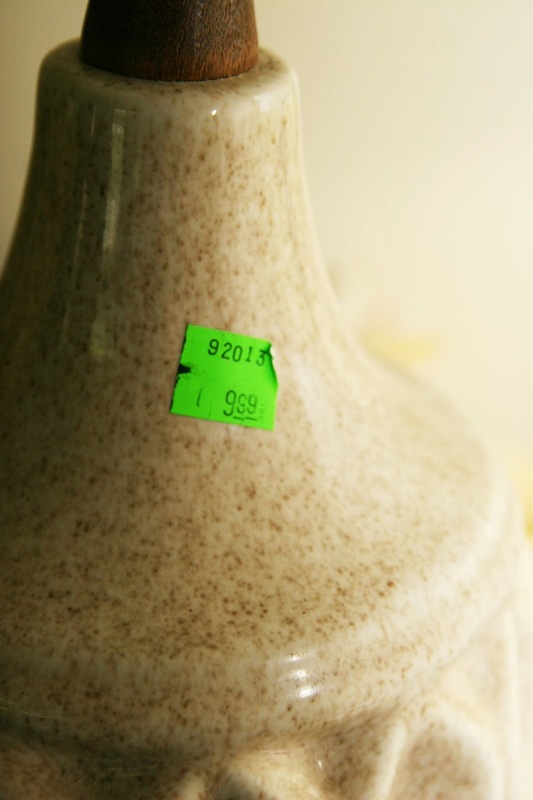 I think the grand total for 2 lamps and 2 shades was around $50. Sign up to have more posts like this one delivered directly to your inbox! What a find Megan! Love the color. Pinning. Those are amazing! I really cannot believe what a great find they were! 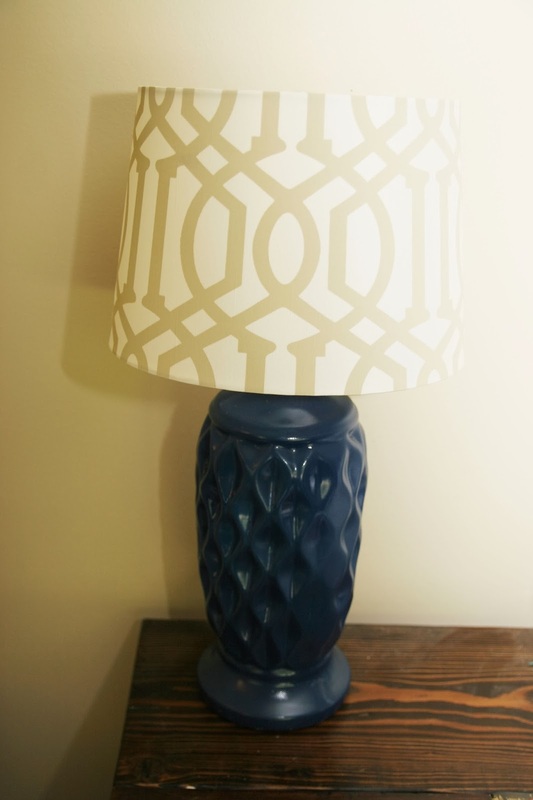 This reminds me that I have two ugly brass lamps down in the basement that probably need to be painted one of these days!!! Thanks for the inspiration. Great find!! 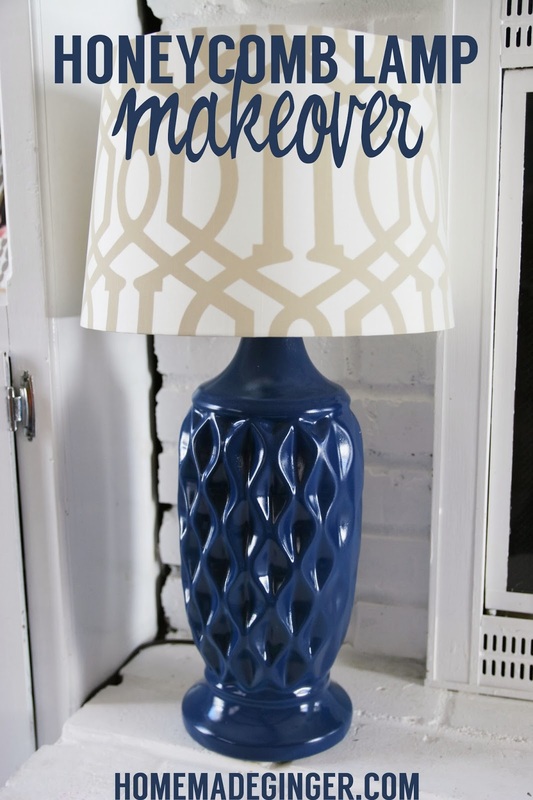 Love the color and I just so happened to spot those lamp shades at Target this week. Great job! Lovely makeover! 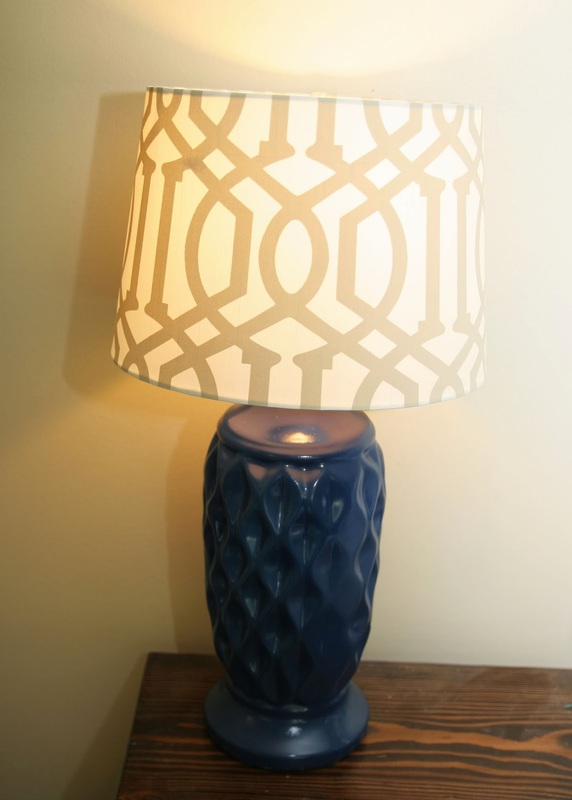 The patterned lampshades coordinate perfectly with the honeycomb of the bases!